I once set out with a hammock tent into Mendocino National Forest only to find a landscape void of trees and nowhere to hang my hammock — some forest. Names can be misleading apparently. You can avoid such mishaps by learning about the different types of public lands, and can broaden your playground at the same time. The public land system is an idea that says that the best examples of natural beauty and wilderness in this country belong to all of its citizens. The system strives to keep these lands out of private ownership, thereby accessible to the general public. The system also tries to preserve the natural value of its ecosystems by restricting activities. When we look at the difference between types of public land, it's usually a tradeoff between freedom of activity and protection level. Let's start with land managed by the National Park Service, a federal agency interested in preserving the ecological and historical integrity of its lands. The forests and grasslands are the least restrictive of the NPS land types, meaning they allow a wide range of activities, like dispersed camping, dogs, hunting, and fishing. But the greater latitude means outdoors folk may sometimes find themselves stumbling through commercial activities like lumber, grazing, and mining, so study the maps beforehand. The parks system will sometimes use forests and grasslands as a buffer to surround higher-value parks. This means some national forests will share similar scenery with their national park neighbors, without the restrictions and crowds. National forests/grasslands normally will not require access permits. They usually have free, dedicated campsites accessible by car, on a first-come first-serve basis. Wildlife refuges are another option to consider when looking to avoid crowds. These lands' main objective is to preserve fish, wildlife, and plants, but are also available for recreational activities, including hunting and fishing. These all protect water features and/or the land immediately surrounding water features. They provide abundant water recreation activities with camping options. The 59 national parks protect the most stunning natural features of our country. They were chosen based on natural beauty, unique geological features, unusual ecosystems, and/or recreational opportunities. They're high on many people's list of places to visit and require significant planning, sometimes half a year in advance, to secure permits or reserve campsites. They also restrict activities like hunting, fishing, and dog walking. Monuments are specific features of a landscape, like Devils Tower National Monument in Wyoming, or (previously) the Grand Canyon in Arizona, that receive national park level protection. These are the most restrictive of the protected areas and are often embedded within other parks, shielding them from the outside world. These are what you want if you want to get away from humans (direct contact with or indirect evidence of). 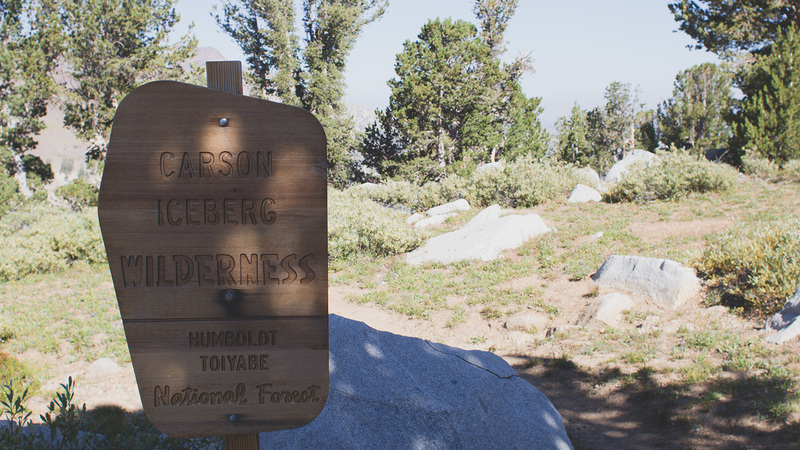 Wilderness areas prohibit all commercial activity, have no roads through them, and allow only foot traffic, prohibiting even bicycles and pack animals. They allow dispersed camping, and a permit system is often used to limit the rate of overnight users. They can be within national parks, national wildlife refuges, national forests, or BLM land. Wilderness areas are insulated by their host parks from the developed world. Signs, like this one on the Pacific Crest Trail in Stanislaus National Forest, mark the boundary of the restricted use area. Other designations of the NPS include National Military Park, Battlefield Park, Battlefield Site, Battlefield, Historical Park, Historic Site, International Historic Site, Memorial, Parkway, Preserve, Reserve, and Scenic Trail. The Bureau of Land Management manages land in the interest of the U.S. president and the executive branch. During the Revolutionary War, American soldiers were offered bounty land in return for their service. The BLM's ancestor, the General Land Office, coordinated the surveying and fulfillment of these bounty lands, as well as fund-raising for the new federal government through land sales. This same office managed parcels granted during the Homestead Act of 1862 and continued to generate money through land sales, mineral leases, and grazing leases. During the second half of the twentieth century, the BLM took on the mission of land management in addition to revenue generation for the federal government. While the BLM's mineral estate still generates billions of dollars in annual revenue, its stated goal is the management of land and resources for multiple use by the public. Most BLM land is west of the Mississippi. Although sometimes thought of as land passed over during the homestead act, it still offers a wide range of recreational activities. It's similar in activity restrictions to national forests and grasslands. State Parks are similar to national parks, but managed on a sub-national level. They are usually smaller in size. Like national parks, each state can choose its own set of park type designations like wildlife/game areas and wilderness areas. State parks also vary widely in recreational activities, from campsites to ski slopes to marinas. They tend to be closer to urban areas, so may make more sense if you're limited on time. Rest and Wild: What's the Difference Between a National Park and a National Forest?